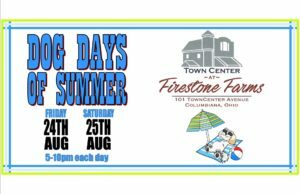 Join us for DOG DAYS OF SUMMER at Firestone Farms! Fri Aug 24th and Sat Aug 25th, 5-10pm each day!! 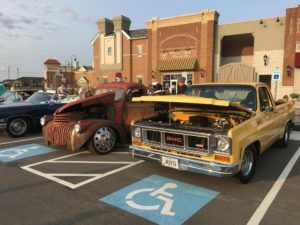 This FREE family-friendly event features live music, great food, great shopping, and more!! 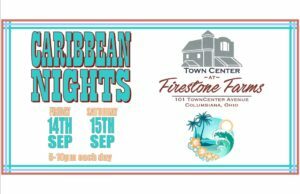 Join us for CARIBBEAN NIGHTS at Firestone Farms! Fri Sep 14th and Sat Sep 15th, 5-10pm each day!! 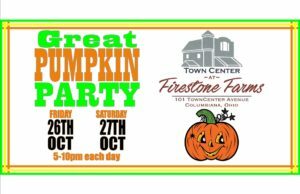 Join us for GREAT PUMPKIN PARTY at Firestone Farms! Fri Oct 26th and Sat Oct 27th, 5-10pm each day!! We will have trick-or-treating for kids at our shops! Join us for WINTERFEST at TownCenter! Saturday, November 17th, 11am-4pm!! 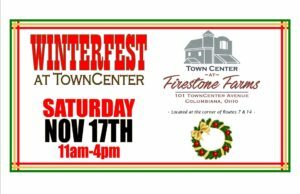 And stick around to explore more of Columbiana during Christmas in Columbiana, and be sure to visit the Joy of Christmas Light Show at Firestone Park.